RECOGEDOR LIBRADOR POLICARBONATO 25 x 8 x 6 CM. 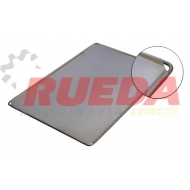 Plana Borde con Varilla Hay 5 productos. BANDEJA PLANA HOJALATA BORDE DE VARILLA 34 x 48 CM. BANDEJA PLANA HOJALATA BORDE DE VARILLA 40 x 60 CM. 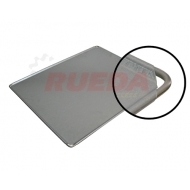 BANDEJA ALUMINIZADA BORDE INOX INFERIOR 34 x 48 CM. 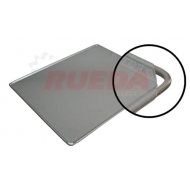 BANDEJA ALUMINIZADA BORDE INOX INFERIOR 40 X 60 CM. BANDEJA INOX CON BORDE DE VARILLA INOX INFERIOR 40 x 60 CM.